There’s nobody better to learn all about playing power forward from than the man known as "The Big Fundamental." 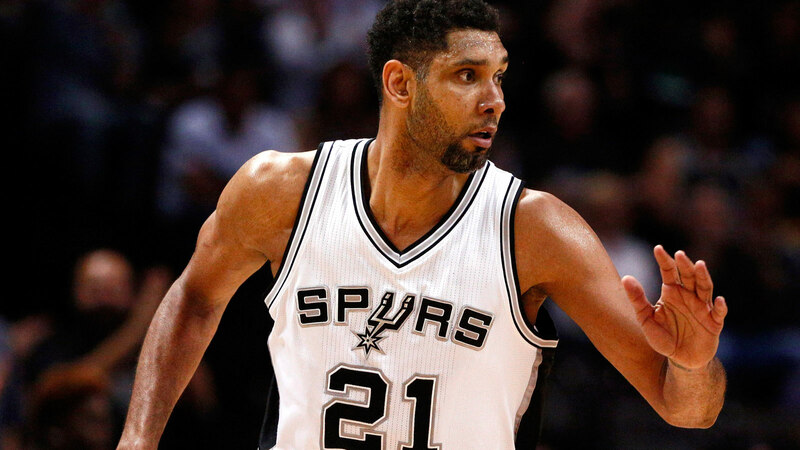 Former NBA player Etan Thomas shared a story on Facebook about a time when Tim Duncan gave him some helpful advice during a game. So we’re playing the Spurs and I get the ball on the post. I inside pivot and sweep to the middle for my jump hook and he blocks it. So as we are running down the court he says to me "that was a good move but you have to get more into my body so you can either draw the foul or I can’t block it". So I didn’t know if he was talking noise or what so just kind of looked at him confused and said ok. Then, a few plays later I did it again got more into his body and he couldn’t block it. I missed the shot and he looked at me and said much better and kept playing lol. I remember calling my boy Zee Chilton and telling him this story lol Tim Duncan is honestly one of the nicest guys in the NBA and one of the best power forwards ever. Respect"